The Social Costs of Car Use in Mexico – ITDP Mexico produced a video with Emigre Films on the social costs of the car use in Mexico, and how reducing the excessive use of the automobile and its external consequences depends on better infrastructure and management. 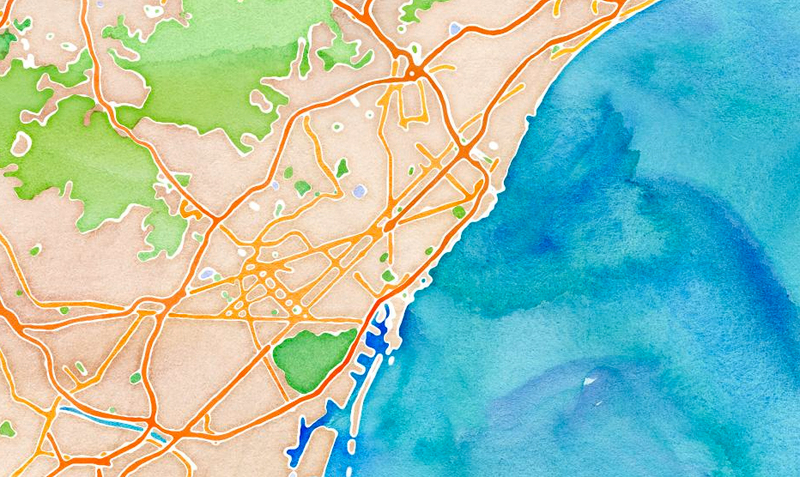 Stamen’s Watercolor Maps – We thought this artistic render of our home city, Barcelona, was pretty cool to look at (we used it to create our FB cover photo!). Its purpose is purely aesthetic, but having a way to make mundane city maps beautiful is a treat for map lovers. Make your own by entering your city of choice at Stamen/OpenStreetMap and voilà! Anticipate? Ecological Urbanism at the Venice Biennale – A panel at the 2010 Venice Biennale with Rem Koolhaas, Michael Sorkin and Olafur Eliasson on the role of preservation and heritage in cities. 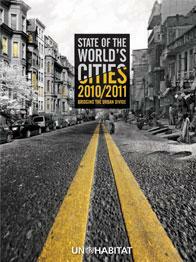 The State of the World’s Cities 2010-11 – This book by UN-Habitat uses the framework of ‘The Urban Divide’ to analyse the complex social, political, economic and cultural dynamics of urban environments, using the framework of the ‘right to the city’ to explore links among poverty, inequality, slum formation and economic growth. You can download the book here. Jason Roberts: How To Build a Better Block – In this TEDx talk, the cofounder of Better Block explains how his project re-visions an area to show the potential to create a walkable, vibrant, neighborhood center, inspired by the rich history and existing street life of European cities.